End of week one of Pandacraft and people are already settling in to the new way of warcraft life. Most of the raiding community are 90 and gearing up for raids while the more casual type players are still enjoying the process of leveling up to level cap. There are loads of people around and that is a great thing to see. What better way to start my post than a review of how I see things at the end of this first week. It is not a review of everything that is in the expansion just my views on what I have experienced so far. As with all stories I’ll start at the beginning. My experience of the launch was tainted by the failure of Blizzard and my online retailer to deliver my boxed Collectors Edition which resulted in me spending an extra £30 to buy the digital version so I could play on launch day but that was documented here, so I won’t repeat that again. The immediate hours of the launch were full of lag and the usual server crashes and people whining about it but after a few hours everything smoothed out and since then everything server side has been stable. This is something that Blizzard can only control better by throttling the access to the servers as all players of the same faction on a realm are filtered to a choke point or spreading out the places we go at the start of a new content release. 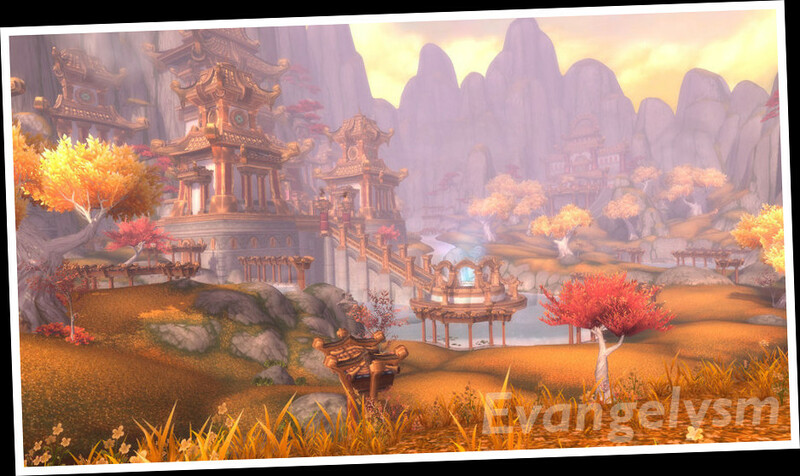 After hitting the shores of Pandaria the questing experience is everything we’ve come to expect of WoW questing, kill X number of X monsters and/or gather X items form their corpses, the FedEx delivery or the find X person/item/place missions. Sure they have tweaked the method but the underlying quest is one of those 3 basic types. Don’t get me wrong I’m not saying that is bad. The whole foundations of WoW is based around those quest types. If you’re hoping for some new earth shattering quest types you’re going to be disappointed. The continent seems small even on a ground mount, but each zone seems to have many underground mini zones which effectively increases the size of each zone without making us walk twice as far when travelling between two points. 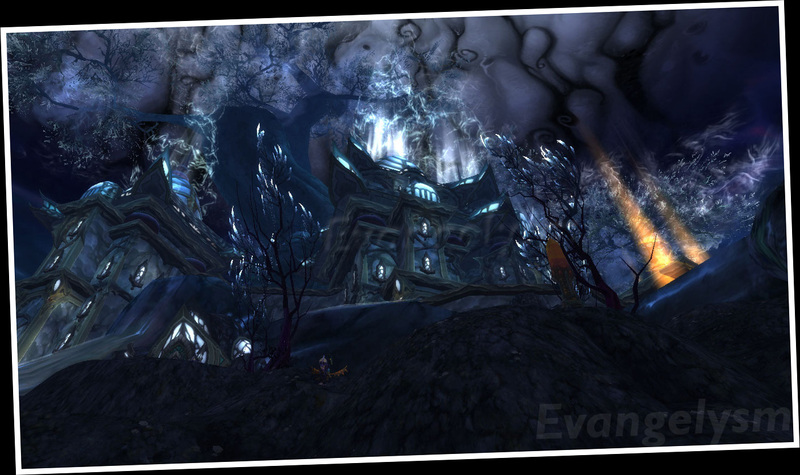 The scenery in all zones is breathtaking although the same old dark feel of the end zone, Dread Wastes, is something I am personally disappointed with although as a guildy pointed out Vale of the Eternal Blossoms is very bright and welcoming. Hitting 90 was not much of a grind and to be honest I was a day slower than planned because I got hooked up on my professions and some real life stuff too and I was still 90 by Friday morning. The overall experience was great and I’m happy that all is well for the next few months at least. The dungeons along the road to 90 were fun too although they haven’t been without their bugs, bosses despawning mid fight, lifts working differently for me compared to my party members, frequent DC’s in the last room of Mogu Shan Palace instance and other general weirdness. There are a gazzillion rare spawns that are so rare they spawn hourly it seems but that may be down to the dynamic respawn system being in place that speeds up respawns of mobs based on kill frequency or maybe I’m just lucky, and as for the World Bosses. Well the Sha of Anger is a joke his respawn timer seems to be 2 hourly as he has been killed very frequently. The fight isn’t demanding on the player either only your system and Internet connection. So easy was the fight that I killed him on Friday, a full 4 days after getting the expansion, in questing greens with 39 people between the levels of 87 and 90 and my what a lag fest that was, 40 people and their fancy spells AoEing down a hundred or so adds that come in the fight pushed most people’s FPS down to under 10 even on OK gaming systems. Sadly on my 7 year old PC I was stuck at 2 FPS at best and still he died! There is way too much action going on there. The cooking profession takes a long while to get your head around if, like me, you rush in and take all the quests and it gets way too confusing. Focusing on one aspect though makes it really simple and it would have been better imho to force characters to choose 1 school of cookery and have to master that before being able to learn the others. Other professions are OK to level but alts struggle a bit to max out if you’re not questing around Pandaria due to their inability to get Motes/Spirits of Harmony. I understand the reasoning behind it but wish they were account bound as Evlyxx has little use for them so far and my crafting alts need loads and can’t get them. Well now instead of feeling like you’re forced to grind rep with a faction for your head enchant you ARE now forced to grind a faction, the Golden Lotus, to actually open up other rep factions you may WANT to grind, like the August Celestials or the Shado Pan. A little bit confusing to say the least. Finally, there is the Justice Point system.I’ve always been an advocate of getting rewards based on teh content you’re running so have always been opposed to getting high end raid gear from points you can earn running normal or heroic dungeons. Hated it because it encouraged players to bypass content and miss out on some of the great stuff Blizz create and of course train these people up by introducing them to progressively harder content (in theory, although recently it has felt that each raid tier is easier to defeat). Now it seems Blizz have made stuff the complete reverse of what it was and are now awarding Justice Points in heroic 5 mans that allows you to purchase gear (after a lot of rep grinding which will take most folks weeks to complete) that is 13 iLevels below the items you’re able to get by running heroics. It is madness. I’m already Justice Point capped, have nothing to buy on Evlyxx as her gear, in week 1 of the expansion, is higher than that I can’t yet buy from the rep vendors. It means that my Justice Points are wrthless aside from trading into Honor Points to buy PVP gear. If anyone can explain that to me please do. Maybe I have missed something. But all told I’m happy with what I have seen so far. I’m hoping for big things from my guild this expansion and will be reporting their progress here too as well as my usual ramblings.